I love the rich grey colors in this rug. It goes very well with my contemporary grey laminate floor. Easy to spot clean and hard to see dirt anyway. Soft and absorbent. 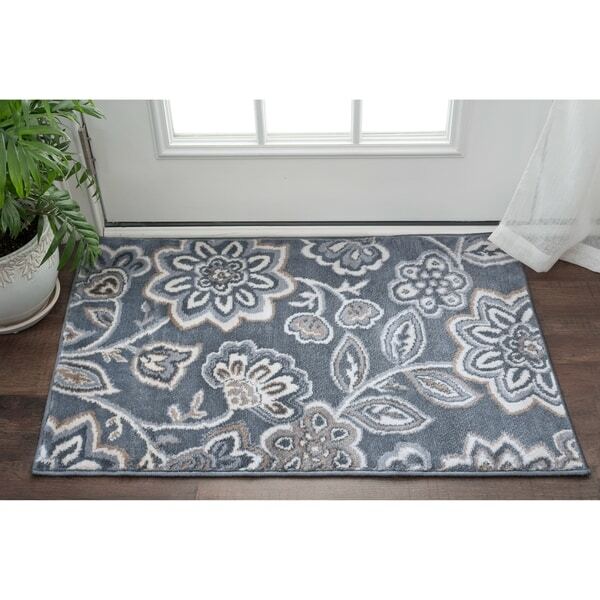 A unique transitional style has been expanded into this rug using an elegant floral pattern to create a high standard of timeless dcor within any home. Contain the trend with a perfectly colored selective design exerting a vintage aura that is only amplified by the concentrated sense of culture and definition. Vacuum on high pile setting; spot clean with mild detergent and water when necessary. Do not bleach. Very pretty rug. 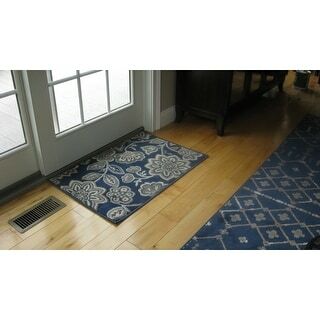 I purchased this in blue to go with another Alise rug that has the same colors but a different pattern figuring the two would compliment each other. It worked out well in front of my patio door and the other rug under the dining room table. It is a smaller rug, which is exactly what I wanted and I am very happy with the purchase. Good price, good quality. 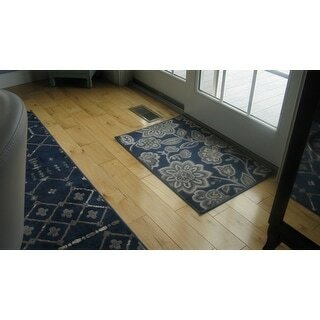 Overstock, in my opinion has the best selection & pricing on all rugs. Love the colors in this rug. It is plush and perfect for my entry. Great quality. I would definitely recommend this to my friends and family. Very well made. The quality is great for this price. The colors were true to the thumbnail photo. I would recommend this. It looks terrific in front of my den door. This rug is very nice and it arrived fast and packaged well. I chose this in the light gray and it is very pretty and coordinates with my decor as the pattern is not overwhelming. I would recommend. Very nice rug, I wish it came in a little bit bigger size! It has a low pile and allows my door to open over it. I got it in grey and I love it. It does need a pad under it so it doesn't slide around. I expected a backing and although the size was indicated I thought it would be a little larger.